BlackBerry of one of the most popular smartphones of all times. The brand recently reinvented itself with the launch of BlackBerry KEYone that runs on the Android Operating System. The BlackBerry KEYone features a touchscreen with an evident keyboard that makes it a fan favourite smartphone. Let’s get aware of some vital features that BlackBerry KEYone offers to its users. This article will brief you about the good and not so good things about BlackBerry KEYone. It will help you in decision making for your investment. BlackBerry KEYone has Android 7.1.1 version whereas other phones offer only 7.0 versions. The higher Android version gives it a plus point in comparison to its competitors. This smartphone also has some useful BlackBerry apps apart from Android compatible apps. BlackBerry has come up with a very innovative design for Android lovers who are the fan of keypad phones. BlackBerry KEYone features a QWERTY keypad along with the Android Operating System. The keys are quite comfortable to use even if you have a big thumb to push the buttons. The keys can also be assigned with the app and contact shortcuts, making it a user-friendly smartphone. BlackBerry KEYone offers you a unique fingerprint sensor installed inside the spacebar key. You get a non-removable battery of capacity 3500mAh prefixed in this phone. BlackBerry is designed in a way that it can run to its fullest capacity even at minimal battery power. With a small screen and adequate hardware, it can run for two to three days with regular usage. The BlackBerry KEYone features a 4GB of RAM with a Snapdragon 625 ARM chip. It can perform functions like messaging, web browsing or multitasking in the best way. But, this phone is not much suitable for users who are looking for a gaming purpose smartphone. A little adjustment has been made with both touchscreen and keypad to make it a compatible smartphone. You get a smaller display screen of 4.5 inches to fit in the keyboard. It not only affects the operating speed but also dissatisfies you in playing games. Thus, if you are not a fan of the qwerty keyboard, then this phone doesn’t make much sense to you. BlackBerry is still trying to earn a handsome amount on its brand name. You can get this phone at around Rs.31,000 in the Indian market. It is quite a higher price for the specified features. 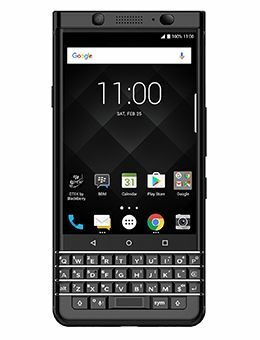 If you still want to buy this smartphone, then you can pick BlackBerry KEYone on EMI option and manage your budget easily. Read on to know the ways to buy BlackBerry KEYone on EMI. Purchasing products on EMI will let you pay the whole sum into small monthly installments. It not only eases the burden on your monthly budget but also make the product affordable for you to buy. You can buy BlackBerry KEYone on No Cost EMI with the Bajaj Finserv EMI Network. A No Cost EMI facility will help you split the total amount into easy installments without asking you to pay anything extra. Thus, the result will be a lot of savings! Bajaj Finserv EMI Network offers 1 million+ useful products to shop. You can choose any product out of them to buy on easy No Cost EMI. One can shop for the product by walking in any of the partner store registered on Bajaj Finserv EMI Network. There are 60,000+ partner stores in more than 1300+ cities and towns that are registered on Bajaj Finserv EMI Network. To buy BlackBerry KEYone on EMI or any other product, you need to use your EMI Network card at the partner store. Once done, your purchase will be converted to EMIs. Even if you don’t have EMI Network Card, you can still shop for your favourite product on No Cost EMI through instant financing option. To get instant EMI financing approval, all that you have to provide at a local store is a canceled cheque and KYC documents. Bajaj Finserv gives you some pre-approved loan offers to provide you with financial aid. You can avail a personal loan, home loan, finance on different products and other financial services. It not only streamlines the process of getting finances but also helps to save your time. To avail the benefit of this offer, all you have to do is share few details and check out your pre-approved offer.